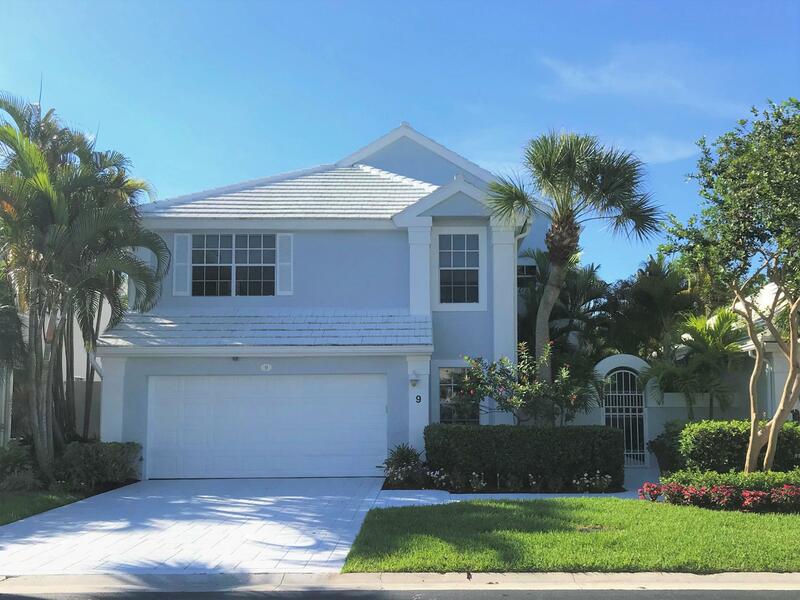 Immaculate, updated pool home in PGA National. Porcelain tile on the main floor with an expanded granite kitchen and buffet, stainless steel appliances, wine cooler and 42 inch wood cabinets. Master has wood flooring with completely updated bath and closets. Energy efficient air conditioning and hurricane garage door replaced in 2017. Recently painted exterior. Garage floor recently epoxied. Lush tropical landscaping surrounds the pool and spa with a dual speed pool pump and newer gas heater. A rated schools. PGA National offers golf, tennis and fitness memberships if desired. Come and see this terrific opportunity! !